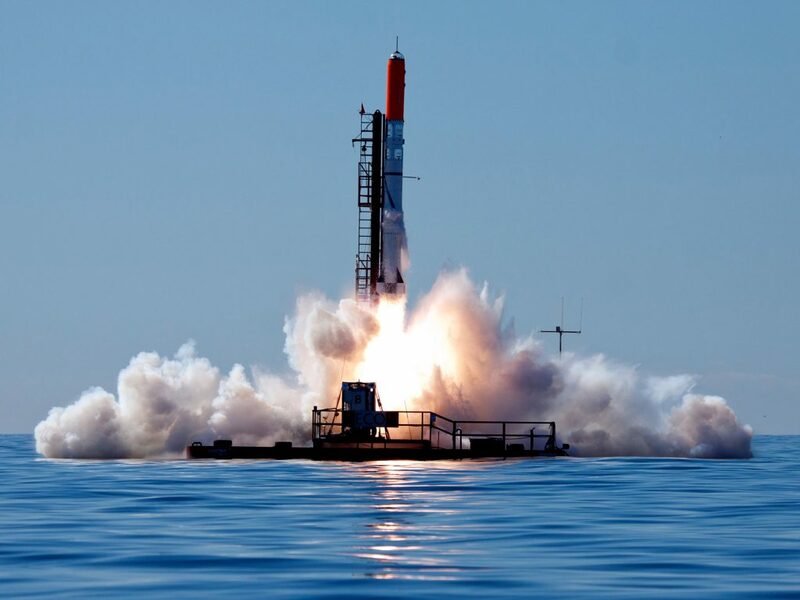 HEAT-1X was launched on June 3rd 2011 from our launch platform Sputnik in the Baltic Sea east of Spaceport Nexø. Standing 9.38 meter tall and with a Gross Lift Off Weight of 1630 kg HEAT-1X was a game changer in amateur rocketry setting a completely new reference as to what amateur rocketeers can accomplish. Not only was HEAT-1X an incredibly large and powerful rocket from an amateur rocketry point of view, it also carried a capsule and a full size crash test dummy to emulate a manned launch! This fact created a massive amount of media attention and the launch was shown by TV stations around the World. In the beginning of June of 2011 the entire Copenhagen Suborbitals team was assembled in Spaceport Nexø making all necessary launch preparations. The two 630 liter LOX dewars were loaded on board launch platform Sputnik and all systems were thoroughly checked out. In the early hours of June 3rd Sputnik and all mission support vessels set out towards the launch site off the coast of Bornholm. Weather conditions were perfect and after arrival the final launch preparations commenced. Preparations were overseen by Flight Director Kristian von Bengtson from his station on MHV903 Hjortø and coordinated with Pad Lead Niels Foldager on Sputnik. After liquid oxygen loading the launch platform was evacuated and the countdown was initiated. At 15:32 HEAT-1X rose beautifully from its platform in a massive plume of vapor and fire carrying the Tycho Brahe spacecraft. However, within the first few seconds the vehicle pitched over to fly at an angle of about 30 degrees to horizontal. As a consequence of the undesirable flight path the motor was manually commanded to shut down after 15 seconds at an altitude of 1400 meter. The low flight angle inevitably lead to a high horizontal velocity at the moment of parachute deployment. This lead to parachute malfunction and the booster impacted the water at a very high speed causing it to disintegrate and sink. The spacecraft landed with a single partially torn parachute deployed causing significant damage. Despite being filled with water the spacecraft kept afloat and was recovered by Recovery Alpha. Is it possible to launch a vehicle of this size from a custom built sea launch platform? Is it possible to build a spacecraft capable of supporting an astronaut with a maximum outer diameter of 65 cm? Is it possible to fly an un-guided, passively stable rocket of this size? The HEAT-1X mission clearly demonstrated that it was possible to both launch a rocket of this size from the ocean and build a minimalistic space capsule capable of sustaining a single astronaut. The mission however also indicated that it is not feasible to fly a rocket of that size unguided. The Copenhagen Suborbitals 2011 Launch Campaign was a tremendous success despite the short flight. CS had proven itself capable of building a 12 ton heavy mobile launch facility and launch a 1630 kg, 9.38 meter tall rocket from sea. 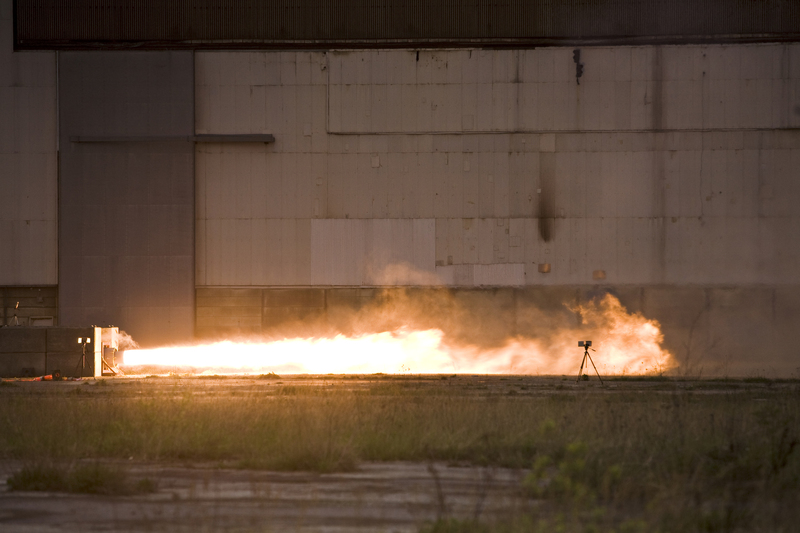 This was a milestone in our program to reach manned suborbital spaceflight. Launching a rocket this size is however not only about technological ability. It is also about building up a strong organization which is recognized by authorities and partners as a serious project. Thus, both technological and organizational experience from the 2011 launch campaign will provide a solid platform for future launches. The HEAT-1X/Tycho Brahe mission also lead to the foundation of Copenhagen Suborbitals Support, a foundation which today forms the economical basis of the entire project. 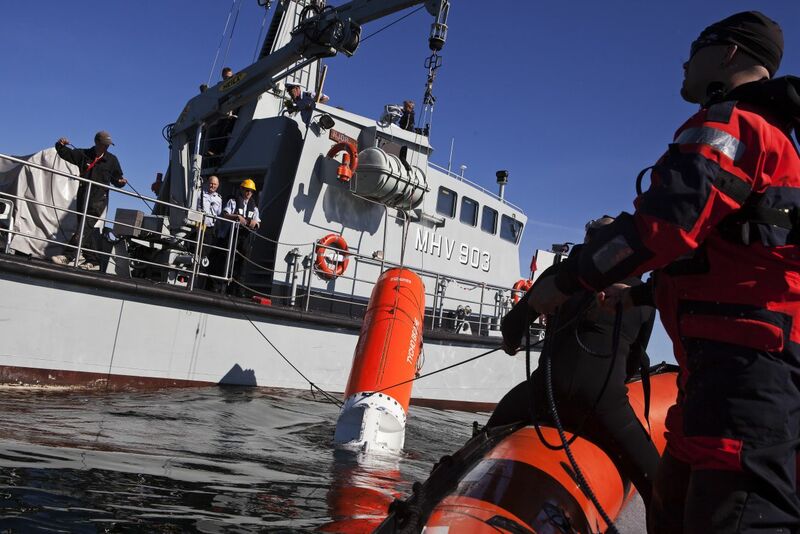 In this way HEAT-1X has opened a world of possibilities to Copenhagen Suborbitals and for the entire crew that participated it was a truly mind blowing experience to be part of the world’s first amateur sea launch operation. 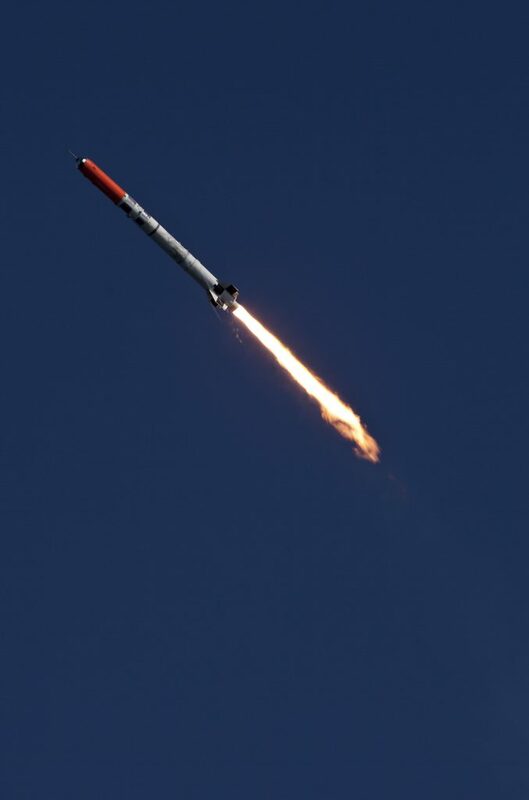 For in depth post flight analysis on the HEAT-1X/Tycho Brahe mission please refer to the post flight analysis report (https://copenhagensuborbitals.com//wp_blog/wp_content/uploads/2013/11/HEAT1X_flight.pdf ).